HETHRE association was created after the meeting of Feng Shui masters from China and a french geobiologist and Feng Shui practitioner, Christine Renault. During these meetings, each expressed the desire to exchange on these technics, learn them, go deeper into the knowledge and discover the bridges between these complementary approach of the construction. to enhance spaces like home and work space. Developing the traditional Feng Shui in France and the Geobiology in China. - let know and develop Geobiology in China. - organise conferences and Feng Shui training in France and Geobiology in China. - develop research and study between these two complementary technics. The first congress in Paris in January welcomed a china delegation of Feng Shui masters. 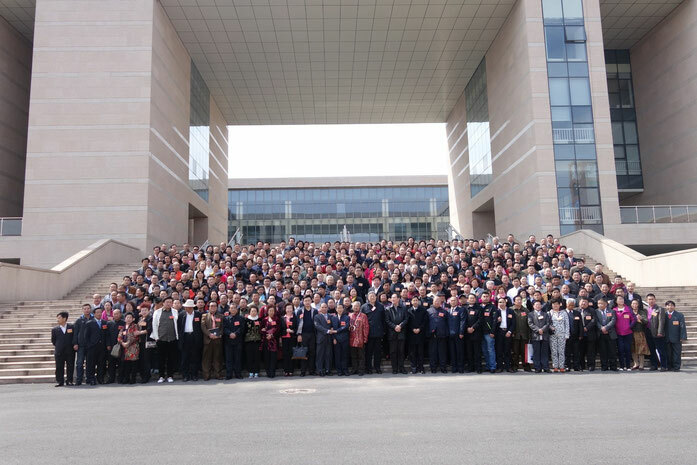 The second meeting took place in Beijing in April, during the international congress of Feng Shui. Christine Renault attended and presented Geobiology. Christine was open to other cultures and lived several years abroad. While living in London, her interest grew to Feng Shui and has continued since. Trained in France and abroad, in Feng Shui and Geobiology, she immediately bet on the awareness of families and business leaders on our living space impact on our well being and balance. For the last 8 years since the start of her company, she dedicates her time to Feng Shui and Geobiology expertises for homes, work spaces, shops, and gives trainings on Feng Shui. My work is acted upon both thousands of years old science with Feng Shui and Geobioloy and other modern techniques that I adapt to our western and technological environment , to bring balance in homes and work places. My wish is to help people to better sense the influence of the living space, because home and work places are not just rooms but can become places of well being, security sensation, nuturing and resourcing spaces. All recommandations are adapted to the architectural context and budget.